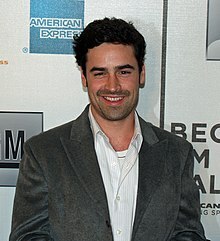 Jesse Bradford (born May 28, 1979) is an American actor. He began his career as a child actor at the age of five and received two Young Artist Award for Best Leading Young Actor in a Feature Film nominations. King of the Hill in 1993 and Far From Home: The Adventures of Yellow Dog in 1995. Bradford was born Jesse Bradford Watrouse in Norwalk, Connecticut, the only child of actors Terry Porter and Curtis Watrouse, who appeared in commercials, soap operas, and industrial films. His mother also played his character's mother in Hackers (1995). Bradford's cousins are Jonathan Svec (a member of the bands Splender and Edison) and Sarah Messer, a writer and poet. He began acting at the age of eight months, appearing in a Q-Tip commercial. At his parents' encouragement, Bradford began modeling and auditioning for acting roles; his first film appearance was as Robert De Niro's son in Falling in Love (1984). He graduated from Brien McMahon High School, where he was a self-described geology nerd. He was Homecoming King, captain of the tennis team, and was voted "best looking" and "favorite actor" by his high school class (although he was not in the drama club). He went on to attend Columbia University, from which he graduated in 2002 with a degree in film. As a child actor, Bradford starred in the well-reviewed films Presumed Innocent (1990), King of the Hill (1993) and Far from Home: The Adventures of Yellow Dog (1995). Subsequently, he has had several notable roles in motion pictures, including Romeo + Juliet (1996) and Bring It On (2000), playing the romantic interest. In 2002, he appeared as the lead in two films — Clockstoppers and Swimfan. He also had a minor role as White House intern Ryan Pierce for nine episodes during the fifth season of The West Wing. Bradford played the role of Rene Gagnon in the 2006 film Flags of Our Fathers, based on the book of the same name by James Bradley. The film is about the Battle of Iwo Jima and was directed by Academy Award-winning director Clint Eastwood. In 2009, Bradford was cast as one of the leads in I Hope They Serve Beer in Hell, based on Tucker Max's best-selling book. Bradford was in the main cast of the short-lived NBC courtroom drama series Outlaw in 2010. In 2016, he was in 3 episodes of Code Black. He was an investor in the Manhattan nightclub The Plumm, along with Chris Noth, Samantha Ronson, and Noel Ashman, among others. In 2015, he was romantically linked to hip-hop artist Azealia Banks. 1993 Tribeca Josh Episode: "The Rainmaker"
2016 Code Black Gordon Heshman "First Date", "The Fifth Stage", "Diagnosis of Exclusion"
2016 Teachers Jacob Episode: "Jacob"
2016 Love Carl Episode: "Party in the Hills"
2016 NCIS John Bishop Episode: "Enemy Combatant"
^ a b Finn, Natalie; Machado, Baker (14 April 2015). "New Couple Alert: Azealia Banks Dating Jesse Bradford!". E! News. Retrieved 4 January 2019. ^ "NBC Unveils 2010-2011 Primetime Schedule Accented by Five New Comedies, Seven New Dramas, and New Alternative Program". The Futon Critic. May 16, 2010. Retrieved May 28, 2010. ^ Hernandez, Greg. "Jesse Bradford thinks "politics in America are particularly polarized" | HollywoodNews.com". www.hollywoodnews.com. Retrieved 4 January 2019. ^ Leitereg, Neal J. (14 November 2018). "Actor Jesse Bradford posts Richard Dorman-designed home for $3 million". latimes.com. Retrieved 4 January 2019. ^ "Leelee Sobieski, Noel Ashman and Jesse Bradford". Getty Images. Retrieved 4 January 2019. This page is based on the Wikipedia article Jesse Bradford; it is used under the Creative Commons Attribution-ShareAlike 3.0 Unported License (CC-BY-SA). You may redistribute it, verbatim or modified, providing that you comply with the terms of the CC-BY-SA.